Yesterday, driving back from visiting folks in the hospital in Lubbock, I noticed my windshield was a bit dirty. Now normally, this would not even catch my attention. In fact, one of the things that drives my wife crazy is to get in my car and have to look through the windshield. I am notorious for not ever cleaning my windshield. Now if you live in this area, you know this time of year we begin to catch all kinds of bugs with our windshields out on the highway. So it is not hard to understand why a windshield might need to be cleaned from time to time. While the truth may lie more on the side of laziness, I choose to believe that the reason I don’t ever clean my windshield is because I have trained myself to see the bigger picture and not be distracted by the dots on my windshield. I think there is a life-lesson here. The reality is, life is always going to be full of distraction. We may set out to be disciplined and focus time with the Father but distractions pop up constantly. Technology has not helped in this regard – we are never really disconnected. Our lifestyle is designed for distraction. So if we are going to grow through this journey toward becoming the image of Christ, we have got to learn to see the bigger picture and not become distracted by the little things that try to pull our attention away from what matters. It takes commitment and discipline to create space in our lives for the Spirit to work. It also takes a willingness to do our best to clear distractions and to create that space. Today we begin the season of Lent. For the next 40 days leading up to Easter, we are called to slow down and reduce distractions. We are called to create space in our busy lives for the Spirit of God to work. We are drawn to turn back to the God who loved us while we were still sinners – enough to sacrifice Jesus for us. I challenged our church family this past Sunday to make a couple of practices a part of their Lenten observance this year. The idea behind these practices is to help us reduce distraction, create space and turn back to God. The first thing I have challenged them to do is to fast and pray – specifically on Tuesdays through the Lenten season. We are going to have a time of prayer through the lunch hour here at the church each Tuesday and allow people to come and go in a reflective and contemplative setting. The other discipline I have challenged our family to do is read through the Gospels over the next 40 days. We have established a reading plan to help folks stay on track. I challenge you to join us. Set aside time – Tuesdays are when we will be doing it – to pray and fast. Focus on God’s love for you – Jesus’ sacrifice of himself for you. And spend time in God’s word. If you would like to follow along with the reading plan we have set up for our family, the best way to get your hands on it is to download our app. It’s totally free and available for your iPhone or Android or even your tablet. Just go to the respective app store and search FBC Littlefield. Once you have installed the app, you will notice several buttons at the bottom of the screen – swipe the page to the left and it will show more buttons (oh wow, look, you can listen to sermons and even see the Pastor’s blog – cool). The button on the far right is titled 40 Days. Click on that button and it will take you to the reading plan. Simply click on the specific day and it will then take you to the text for the day in the YouVersion Bible app – – pretty simple. However you choose to do it – I challenge you to spend time this Lenten season seeking God. Spend time in prayer and spend time in God’s word. By removing distractions and creating space, God can use your efforts to change your life. Now I guess I need to go wash my windshield. Last night I could not pass up the opportunity. It was mid-50’s and no wind. Shorts, flip flops and a fire in the chimnea. As I sat and just relaxed by the fire and looked at the stars, I have to admit, I felt a little guilty. There are so many things I could have been doing. But as I sat there enjoying the moment, I was reminded that sometimes we just need a little time to chill out. Watching the flames and listening to a little indie is good for the temperament and quite possibly the soul. God was wrapped up in creating for 6 days and then rested. What makes us think that we can go non-stop with no down time? I read a great quote last week in an article discussing sabbath and rest. The author quoted a pastor friend he knew as saying, “Satan doesn’t take a day off – neither should I.” But then the author of the article commented that maybe we shouldn’t make Satan our role model. In American culture, working non-stop with little or no rest has become a badge of honor. We almost feel guilty to take an evening and not put in some work at home. Technology has made it easy to work virtually anywhere and at any time. When do we dis-connect and turn off? When do we allow our brains to shut down? God created us for work. But we are also wired for rest. We need both. The reality is, we need rest in order to be more productive. Our productivity suffers when we don’t take some time to regroup. So I encourage you this week to find some time to slow down. Just rest without feeling pressure to produce. God can do some of his best work when we are not focused on anything in particular. The journey we are on is full of ups and downs, curves, speed bumps and forks in the road. It is a true adventure in the boldest sense of the word. We don’t always know where the journey will lead us. In fact, the reality is, we will never know for sure where this road ends. It all comes back to faith. We trust that a life lived to honor God will in conclusion end with God. I believe this to be true – so much so that I stake my very existence on it. So we put one foot in front of the other and move forward – setting out daily on the adventure of a lifetime. Will it be safe? Maybe but probably not. Will there be possible pain and struggle – most likely. You may ask, wouldn’t it be more secure to pull over to the side of the road and stop? Why risk the potential of pain and struggle? You could do that. You could check out and pull over. You could play it safe. If you do, you might avoid some pain (although I think pain will come in other ways). You might even avoid some struggles. But you will also miss out on the joy of life that can only come in the living of it. It’s about trust. Who do you trust? Yourself? Your career? Your friends? That is my prayer this morning. May it be yours as well. I recently wrote about the hope we have through a relationship with Jesus – a living hope. You can read that post here. The hope we have in Christ comes when we take refuge in the Father. As I read these words this morning some thoughts came to mind – the first being I pray I can be found righteous and known for loving God. The reality for most of us is that we love God a little. So may we strive to love him more today. But the second idea from the passage was one of nearness. As I meditated on these words, the phrase that kept rolling over in my mind was, “spread your protection over them.” The image here is that of a mother bird spreading her wings over her young. There is a profound intimacy inherent in this image – God spreading protection over those who would draw near enough to benefit. 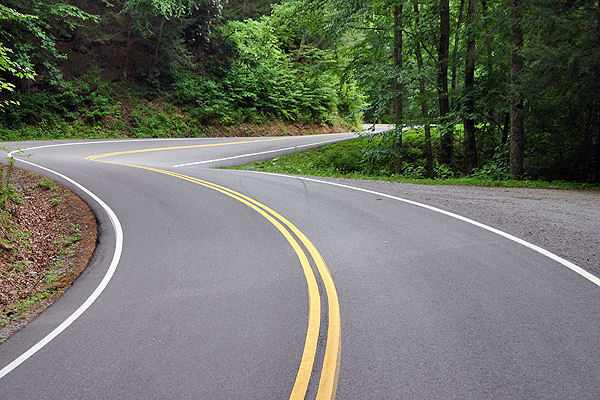 As life throws us curves and bumps in the road, we can choose to try and go it alone. Or we can choose to take refuge in God.